Probably the biggest thing is price. I’ll put it this way, if you buy a bottle a day, let’s say you have 30 bottles a month, 360-365 bottles a year at 5 bucks a bottle. That comes out to 1,825 dollars a year on kombucha tea alone! So much for that new computer you were planning on buying…BUT if you brew your own bottles it comes out to literally pennies per serving, there is the money that goes into buying a kombucha brewing system but after a month of not buying kombucha bottles at the store it has literally paid for itself. You can control the amount of sugar your kombucha has. Most commercially brewed kombucha you buy at the store is loaded with sugar so unfortunately diabetics can’t enjoy the other benefits of kombucha. 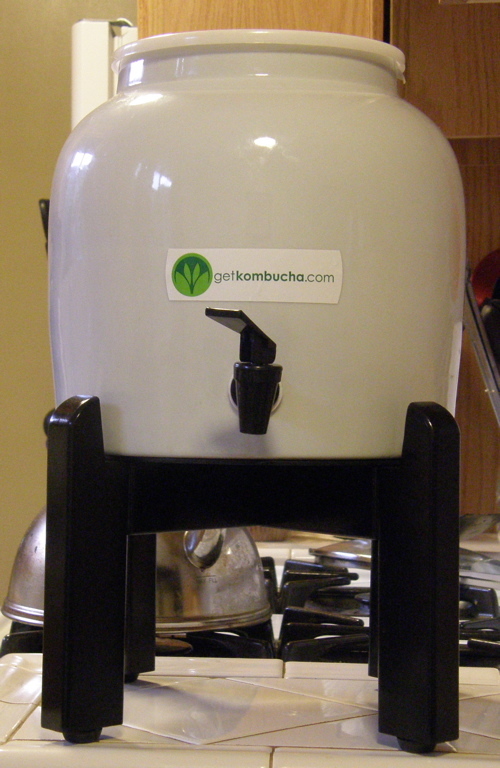 To control the amount of sugar simply brew longer and your kombucha will “digest the sugar” if you will. This process also allows you to control the fizzyness, some people like it super fizzy, some don’t, simply let it ferment longer for more fizzy kombucha.